Many people find holiday lighting displays beautiful. But how much energy do those displays use? Quite a bit. Those who design and install holiday displays have been making the transition to more efficient LED bulbs, but they still have a ways to go. At a home in Sunfish Lake, a crew from Custom Christmas Lighting was at work recently, putting the finishing touches on a huge display. Rob Schlosser, who owns the lighting business, opened another package of warm-white LEDs. Strings of red, white and green lights hung from a couple of hundred pines lining the curved driveway. Schlosser said this display is 100 percent LED. "Could not be done without LEDs," he declared. "Would not be feasible. Wouldn't work." Schlosser said the home's electrical system wouldn't be able to handle the load if the display used traditional incandescent lights. According to the Department of Energy, LEDs consume at least 70 percent less energy than incandescent bulbs. LEDs cost more up front, but the energy savings can make the switch worth it, especially if you use a lot of lights. Schlosser adds LEDs to his stock every year, and said they make up about 65 percent of his inventory now. But while LED manufacturers are getting better at mimicking the softer look of incandescent lights, some people still cling to the old lights. "Sometimes people will call me and they'll say, 'I want an old-school house like when I was a kid,'" he said. "And this is an older person, and I'll say, 'You mean like Chevy Chase or you mean like Norman Rockwell?' It doesn't happen too often, but when I have that client, I can't give them an LED." The transition from incandescent holiday lighting is part of a larger movement toward LEDs. Dan Thiede, with Clean Energy Resource Teams, said people are embracing LEDs for a variety of reasons. "They're safer because they don't get quite as hot, they're sturdier so they're not as liable to break on you, and they're nicer to install because they use so much less energy that you can connect like 25 of the strings end to end without overloading a socket," he said. "And then the fact that they're better for the environment, because you're using less energy." Solid numbers on the transition to LEDs are hard to come by. For holiday lights, manufacturer Sylvania published a survey this month showing 65 percent of consumers have purchased LEDs; of those, a third bought holiday lights. Online retailer Christmas Lights, Etc., said 57 percent of its consumers prefer LED holiday lights to traditional lights. As for the regular lamp market, data from the National Electrical Manufacturers Association show that LEDs now make up about 15 percent of the market, compared to less than 1 percent just two years ago. The Department of Energy predicts LEDs will represent nearly half of sales by 2020 and more than 80 percent by 2030. "There's still quite a ways to go," said Mark Rader, a consultant at the Center for Energy and the Environment. "The market is changing so fast that LEDs aren't a one-size-fits-all thing right now, but we're getting there, so it's an exciting time." 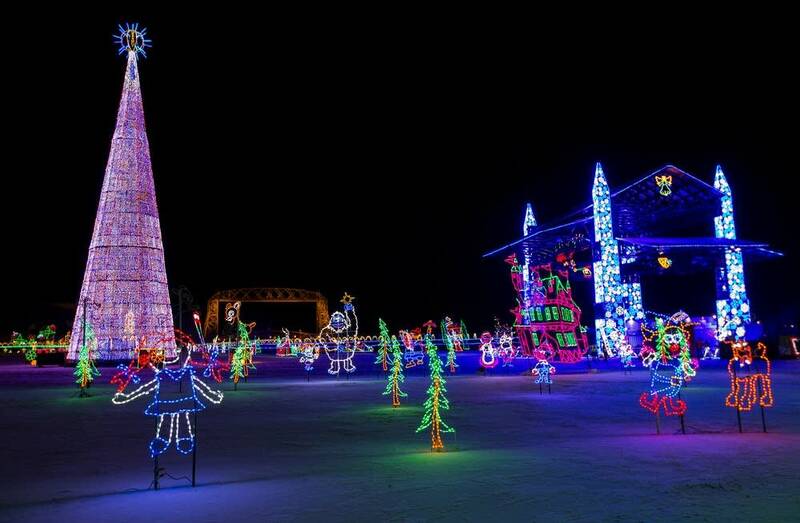 Organizers of the Bentleyville Tour of Lights in Duluth say 80 to 85 percent of the 3.5 million lights that fill Bayfront Park this year are LEDs. Event coordinator Tim Rogentine said the electric bill for the entire event is $5,000. He says the event spends three to four times that just on hot cocoa. "We've reduced the number of power cords we need to use, the number of electrical boxes we need to use, so we're really becoming efficient in our power usage," he said. "And LED has helped us out significantly there." The holidays are a good time to witness the lighting transition happening. Even the Clark-Griswold-like do-it-yourselfers are discovering LEDs in greater numbers. 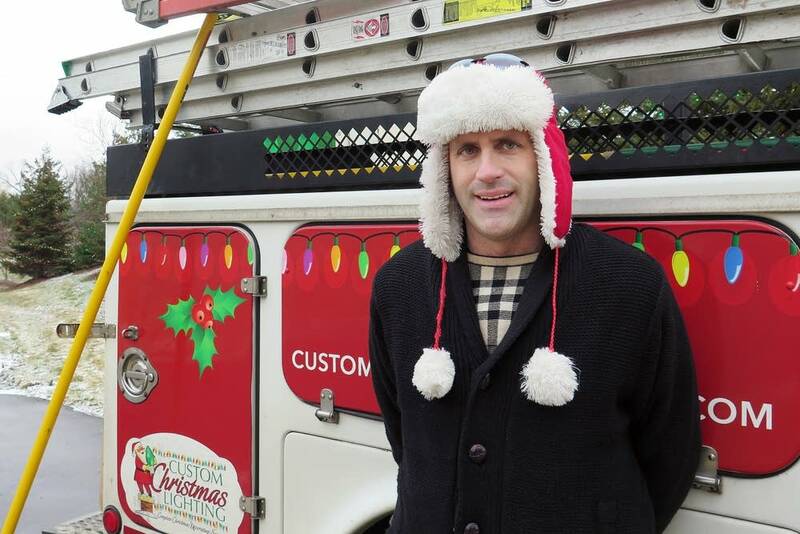 In New Hope, Greg Larson draws retirement home shuttle buses and even limos to his home with a custom display synchronized to Christmas music he broadcasts through a low-power radio transmitter. Larson said he's at about 40 percent LED, adding more every year. He recalled the star of Bethlehem he created out of large incandescent bulbs on his roof. "These are the bulbs we all grew up with," he said. "The problem I had with them is that they were hot. So hot, in fact, that it would melt the snow on the roof. And I don't mean just the snow by the element, we literally would melt almost all the snow off the roof." The star is now made of LEDs, joining the spiral trees and the other features that have joined the 21st century.